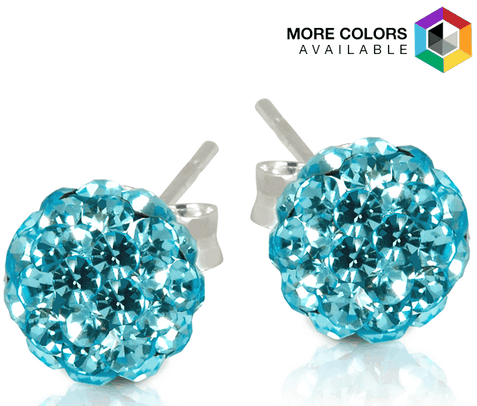 2 CT Swarovski Element Crystal Ball Studs Only $4.99 Shipped From Tanga! You are here: Home / Great Deals / 2 CT Swarovski Element Crystal Ball Studs Only $4.99 Shipped From Tanga! SHINY!! I love these earrings and at this price I’m getting a few pair! These 2 CT Swarovski Element Crystal Ball Studs are FREE Plus $4.99 Shipping From Tanga! Put a little bounce in your step with these crystal ball stud earrings. Choose from a variety of beautiful colors! Don’t miss on more amazing deals every day at Tanga!